The interactive version of the 2015 Tarascon Catalog is now available. 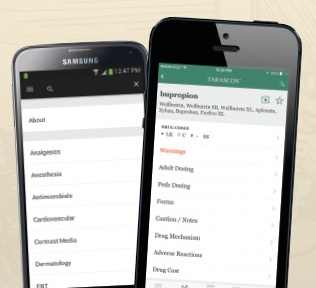 According to an article published in the Journal of Medical Toxicology, the Tarascon Pharmacopoeia mobile application is one of only two electronic prescribing apps to meet the highest level of safety for accurate prescribing information. We're pleased to announce that our Tarascon Pocket Pharmacopoeia 2014 Disease Edition authored by Mark A. Davis, MD, MS earned 5 stars and a perfect score of 100 from Doody's Review Service. Reviewer Vincent F Carr, DO, MSA, FACC, FACP from the Uniformed Services University of the Health Sciences writes that this book "is about the most user-friendly of all of the references on the market for looking up medication information." 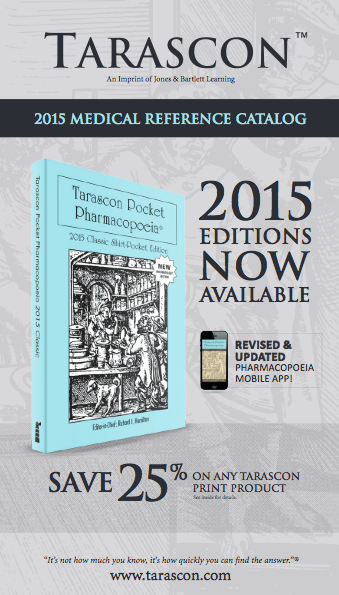 We are pleased to announce that the Tarascon Pocket Pharmacopoeia 2014 Disease Edition, the newest pocketbook in our acclaimed series of of Pharmacopoeia drug guides, has just published!